How would you describe your design aesthetic?Ecletic. Nothing in my house matches, but I try to create a kind of harmony among items made from different materials (wood, metal, oil on canvas, stone) from different decades. 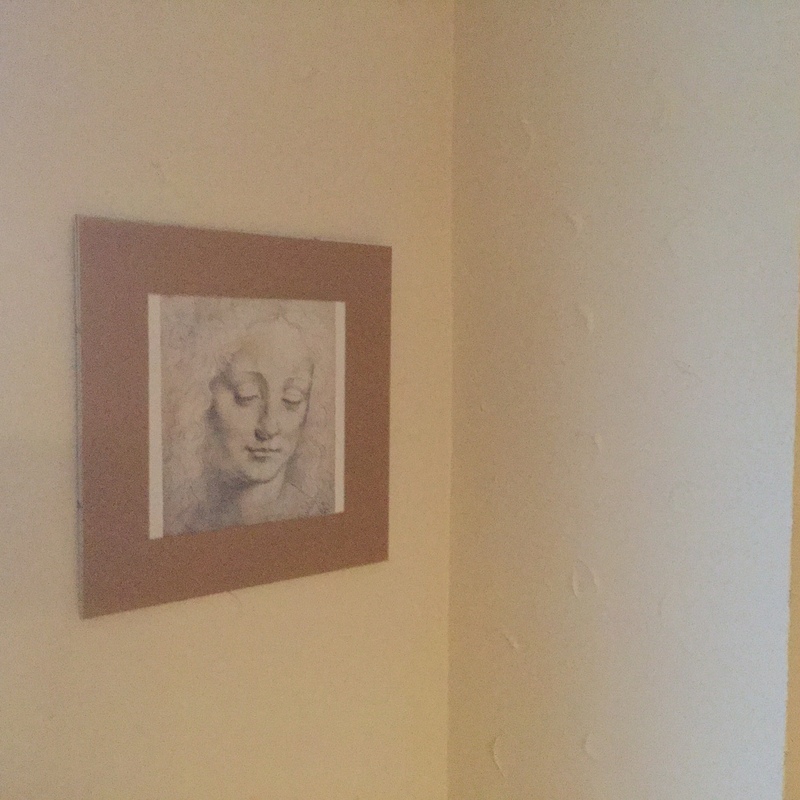 Most of my walls are painted a very neutral milky color, which creates a serene backdrop for all of my random art: a da Vinci portrait, various incarnations of the Green Man in wood and metal, terracotta suns, large mirrors, oil paintings of Paris and the Italian countryside, colored-glass witch balls. Our sun porch is painted a bright yellow and has a lot of windows, and we've set up a large art table for my daughter who's almost 6 to get creative. I love the feeling in this space the most -- I have a large bookshelf and potted palm trees here too. This room just begs you to get creative in it. How do you decide what goes in your space? How is that different from what goes into one of your poems? Before I had children, I liked lots of antique furniture and groups of art on the walls. Now, with all the toys, hand prints, milk dribbles across the wood floors, I've become much more minimalist, which I'm assuming will be a temporary thing. I like bare wood floors, bare walls, bare table tops. That brings some sort of temporary order and comfort to my space. But I do like candles that add scent and ambient lighting. My poems are like my design aesthetic before children. So I imagine my poems as spaces or rooms where I contend with myself: There's a lot going on. Images, some leaping and association, some narrative. I try to unify and connect what might otherwise be discordant: a horse, a boat of rotting pears, my grandmother's wrinkles in a stone bowl, a dream of owls. I'm not minimalist in my poems. What are you working on creatively right now? In 2014, I finished two poetry chapbooks that are both forthcoming in 2015: Absence of Stars (dancing girl press & studio) and Little Deaths (ELJ Publications). Finding those manuscripts homes freed me up to expand into new work. Ultimately, I'm working on a full-length manuscript, and my poems, which had been dealing with the dead: what the dead leave, how they inhabit the living, etc., are turning more to the living. I would say that my work is very personal. I don't think I'd necessarily use the word confessional, but most of the poems I write speak to my experience at some level of being a woman, wife, mother, daughter, grandmother and some of the concerns of those identities. Like, how do you navigate yourself when your body isn't "good' at pregnancy and your children are both born premature? What is your favorite object in your home? My great-grandfather who came to the U.S. from Poland in 1903 did carpentry on the side, and made a lot of furniture in the Mission style. 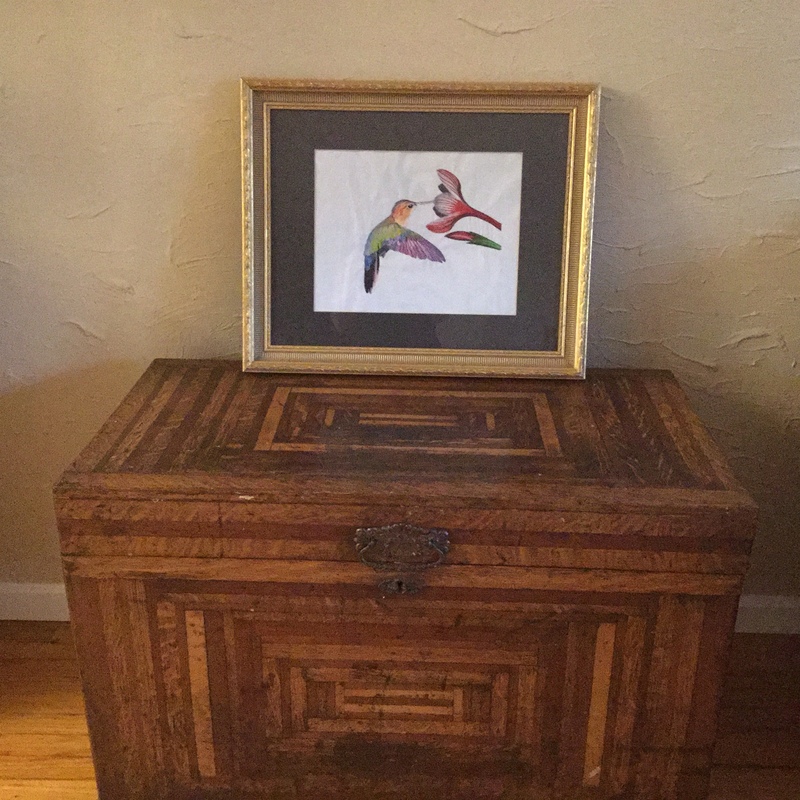 Of the pieces that I have of his, my favorite is a large trunk. The top and sides are made of painstakingly inlaid pieces of wood that lock together in an intricate pattern. My children trace the wood and bang the heavy metal handles against the wood. They run their toys over the top. I love that I have these art objects in my home, made by a family member who was an artist at night and on the weekends. What is your least favorite object? Wooden and metal baby gates. They're all over the house right now to keep my almost 2-year-old from falling down the stairs or getting into the kitchen and at the stove or into the cat's water dish. I tripped over one recently and fractured a toe, which is quite an active, painful reminder of how boundaried our open-floor-plan house is right now, out of necessity. What poetry books have you been reading recently? I've been re-reading Louise Gluck's Meadowlands. Also on my list are: Small Porcelain Head, by Alison Bemis White, Our Lady of the Ruins by Traci Brimhall, The Vertical Interrogation of Strangers by Bhanu Kapil Rider and Nestuary by Molly Sutton Kiefer. So, all books by women and dealing with things like the dissolution of a marriage, childbirth, infertility, the loss of a friend to suicide. What design elements have you been crushing on recently? Anything simple or clean. Because our walls get hand-printed and the floors dropped upon and the windows and glass doors smudged up, I spend time every night doing a quick cleanup. 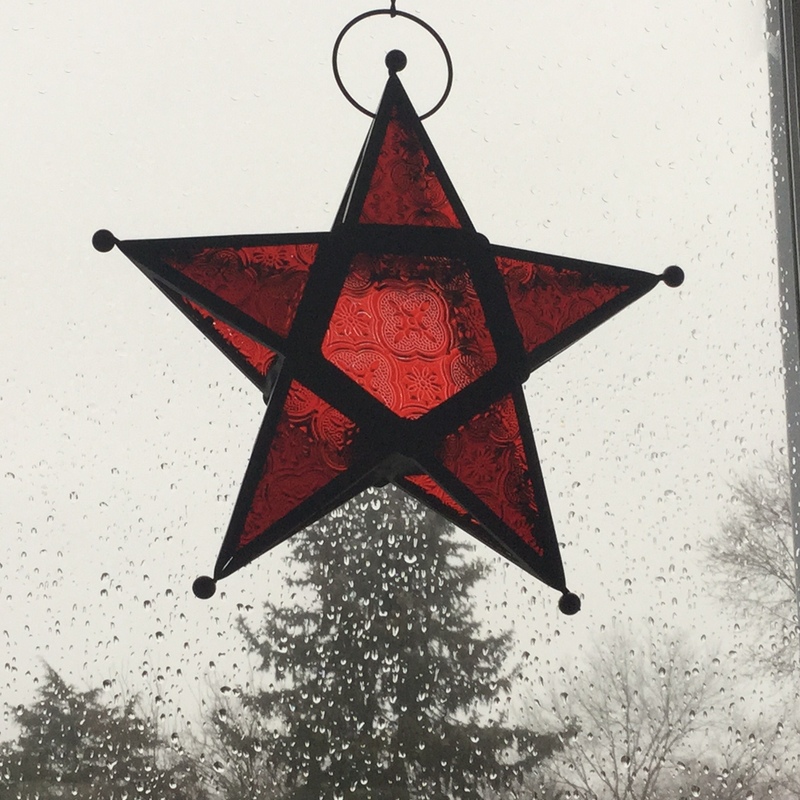 I’ve minimized the decorations that we have out and hung and aim for the less-is-more approach. I love looking at pictures of reading rooms in other homes that have a fireplace, an art piece over it, a chair or two, wood floors and a book case. Nothing extra, and you imagine that room is warm and quiet – a place to retreat. If you had unlimited time to create, what would you make? I used to draw a lot of portraits in pencil and charcoal, and I also did calligraphy. If I had time to create, in a space wholly devoted to creating art, with no other responsibilities (that would be in an alternate universe), I'd work on art pieces that combine words and sketches. Pretty much everything would have some poetry in it. What is the oldest object in your home? My husband's family is from Gettysburg, PA, and the original homestead was a hospital farm, with a 200-year-old barn. We have bullets and arrowheads that my husband's grandfather found on the property, that he found in the cornfields. Since the farm was a Civil War hospital, they've unearthed bones shattered by bullets and even a full soldier's skeleton that was moved to a grave in the soldiers' cemetery. We go to Gettysburg frequently and walk the battlefield, which has been preserved as a park since the early 1890s. It's a very haunting place with a sense of active history. Having those objects in my home ties me to those fields even more. Bones appear quiet frequently in my poems. What do you love about your work space? Why did you set it up that way? I have what I call a "portable" work space, which is my laptop and whatever pile of poetry books I'm reading that week. Sometimes I write at the high kitchen counter on a bar stool. Sometimes, it's at the dining room table. Sometimes it's on the sun porch with a heater on. Sometimes it's in bed. 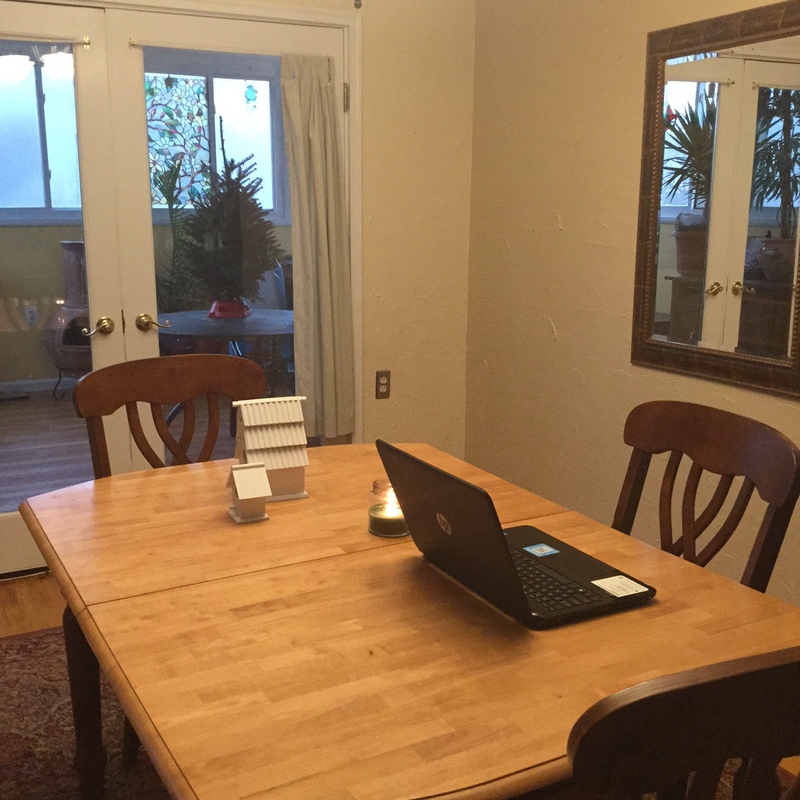 My work space is portable because there's really no separate space for me to set up a writing nook in my home. Since I had young children, I usually write early in the morning or late at night. So what's key is having quiet or maybe just music. 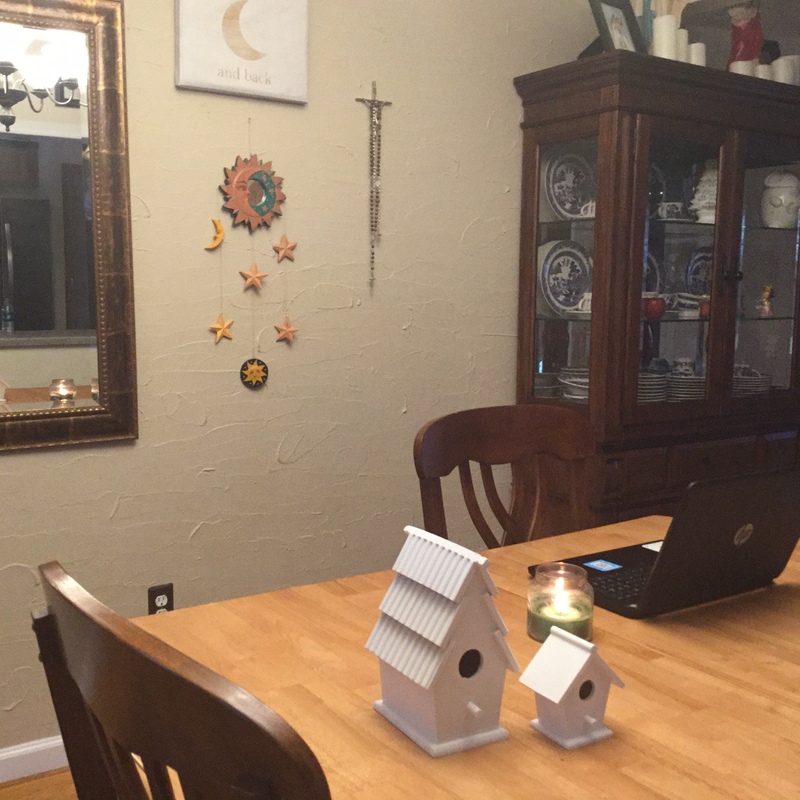 Having an uncluttered writing space is also important to me, so wherever I'm setting up, I clear the table surface off so that I feel uncrowded. Nicole Rollender is the author of three poetry chapbooks: Absence of Stars (forthcoming July 2015, dancing girl press & studio), Little Deaths (forthcoming November 2015, ELJ Publications) and Arrangement of Desire (Pudding House Publications). She’s the recipient of CALYX Journal’s 2014 Lois Cranston Memorial Prize, the 2012 Princemere Journal Poetry Prize, and Ruminate Magazine’s 2012 Janet B. McCabe Poetry Prize for her poem “Necessary Work,” chosen by Li-Young Lee. Her poetry has been published or is forthcoming in The Adroit Journal, Alaska Quarterly Review, H_NGM_N, Harpur Palate, Heron Tree, MiPOesias, Ruminate Magazine and THRUSH Poetry Journal, among others. She received her MFA from The Pennsylvania State University, and currently serves as media director for Minerva Rising Literary Journal and editor of Stitches magazine, which won a Jesse H. Neal Award from American Business Media. Visit her online at www.nicolerollender.com.